160 ACRES OF VACANT, FLAT BUILDABLE LAND FOR SALE. 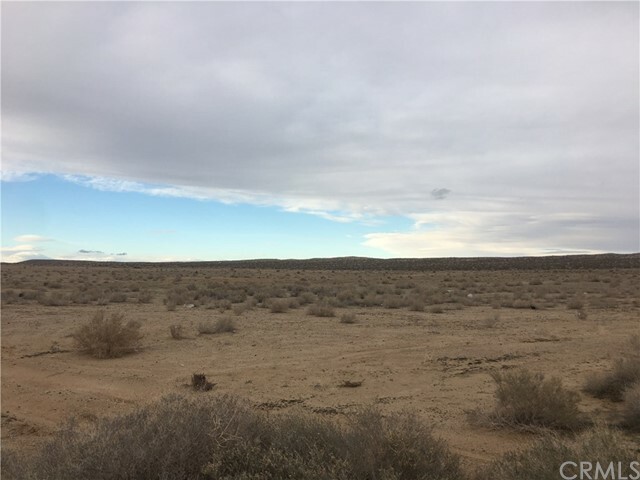 This property lies within the unincorporated area of the San Bernardino County and is zoned RC or 'Resource Conservation'. This is an excellent OPPORTUNITY TO BUILD OR RE-SELL. Parcel has no access to public road and lies on an UNINCORPORATED AREA OF BARSTOW. The Future starts here. © 2019. The multiple listing data appearing on this website, or contained in reports produced therefrom, is owned and copyrighted by Multi-Regional Multiple Listing Service, Inc. ("MRMLS") and is protected by all applicable copyright laws. Information provided is for viewer's personal, non-commercial use and may not be used for any purpose other than to identify prospective properties the viewer may be interested in purchasing. All listing data, including but not limited to square footage and lot size is believed to be accurate, but the listing Agent, listing Broker and MRMLS and its affiliates do not warrant or guarantee such accuracy. The viewer should independently verify the listed data prior to making any decisions based on such information by personal inspection and/or contacting a real estate professional. Listing courtesy of BRANDON DOTSON from COLDWELL BANKER RES. BROKERAGE . Last updated Thursday, April 18th, 2019.